It goes without saying that we’ve all probably consumed far too many mince pies, taken part in too much cheese board activity & gulped down an immense amount of of fizz. But it was Christmas so we were allowed, right? But now January’s arrived and our work clothes are feeling a little snug to say the least. At a guess, probably around 70% of the office have decided to embark on a journey from January 3rd to shed a few pounds so we want to make this difficult journey (yes, avoiding a slice of Rosie’s work birthday cake is difficult!) a little easier. 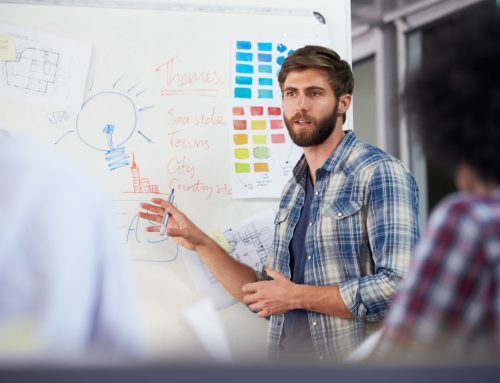 We’ve decided to write a guide on how to make healthy eating in the office much easier! 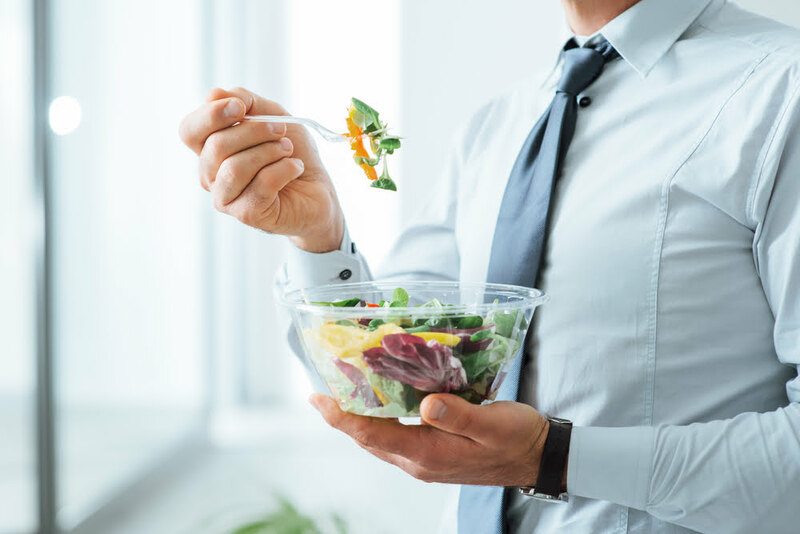 Now we know it’s the middle of winter but if you’re looking to shed a few pounds, substituting your normal Tesco BLT sandwich meal deal lunch for a wholesome salad will do wonders for your waistline. Preparation is key; prepare 2-3 days at a time to lighten your evening load. We also suggest mixing it up to keep it interesting, so by this we don’t mean chucking a few limp lettuce leaves and a slice of cucumber into a salad box. Why not add grains, low-fat dressings, hardboiled eggs or marinated lean meats into the mix? 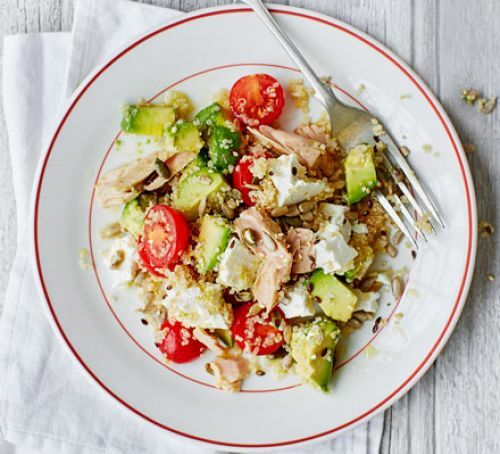 Our favourite is this tuna, avocado & quinoa salad. If you’ve got a microwave in the office, this one is for you, especially during the colder months. There are a whole host of different foods, which are easy to make as well as safe to reheat. From lean meats, rice and vegetables to hearty and filling soups, there are hundreds of combinations for winter warmer lunches. TIP: Don’t necessarily go for the lowest calorie options when buying soups. You want to feel full afterwards to prevent you from diving into the biscuit tin later that afternoon. Just be mindful of the amount of sugar! 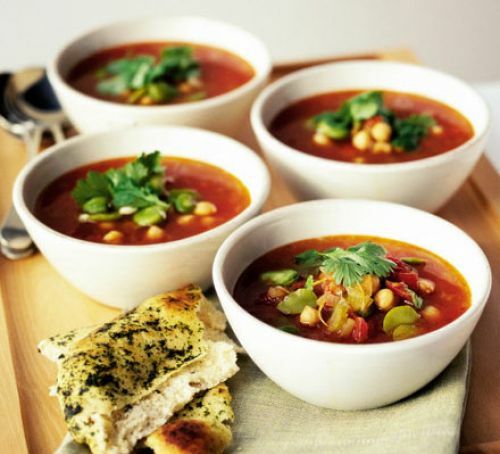 Our favourites is this flavoursome Moroccan chickpea soup. 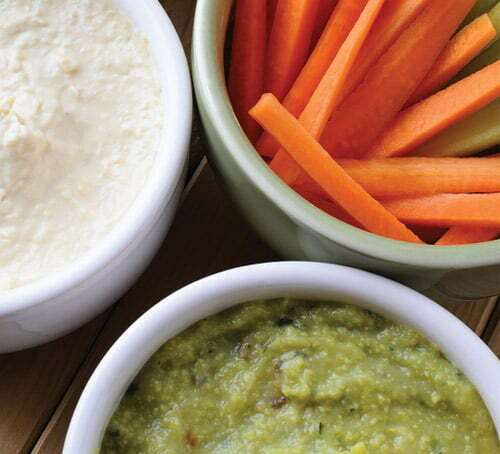 Swapping crisps and cereal bars for vegetables crudités with tzatziki or reduced-fat hummus is the perfect example of substituting sugary, high-fat snacks for more filling and wholesome mid-morning or mid-afternoon bites. You should be drinking no less than 2-3 litres per day, increasing on the days where you workout. We wouldn’t expect you to cut your caffeine intake altogether but we definitely suggest lowering it. One caffeinated drink in the morning & one in the afternoon is our recommendation. If you can’t live without drink fizzy drinks, why not swap them for squash and fizzy water, and how about adding decaf green tea onto the drinks menu too? There are lots of tasty flavours out there to ease you in! 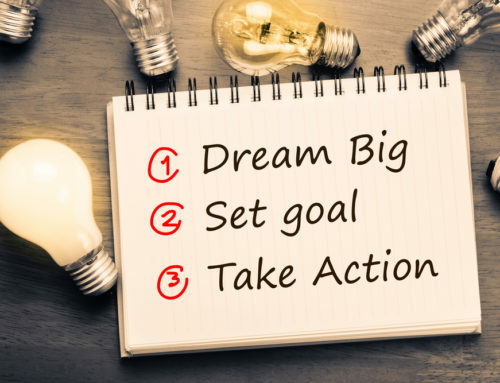 There you have it – Pinpoint’s guide to help you lose weight in the office and achieve a healthier you in 2017!